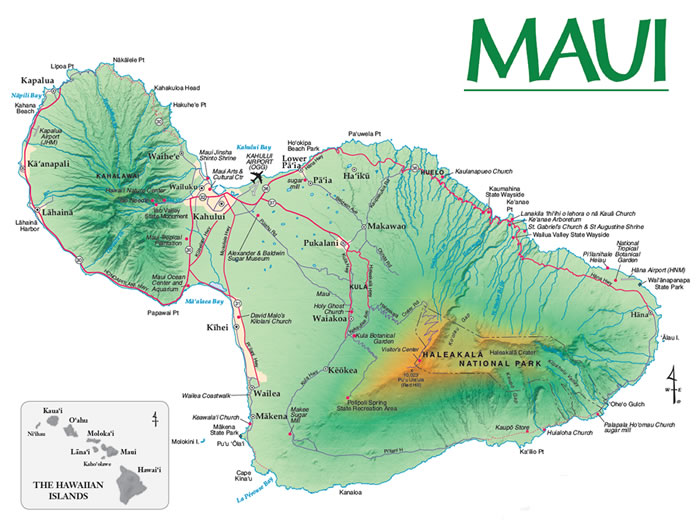 Maui, nicknamed the “Valley Isle,” the second-largest of the Hawaiian Islands. The entire west coast is fringed with golden sands, some backed by resorts, some full of beach towels and boogie boards, others completely unblemished and untouched. For those who love surfing and water sports, Maui features world-class conditions for anything that involves a wave. Each coast is known to have its own unique personality: From goliath waves on some shores to gentle pools in others, there is something for every skill level. For the nature-lovers, you will fall in love with the unique wildlife you see snorkeling through the clear waters, or hiking up a dormant volcano or lush mountain trail. Check out the “Things to Do” in Maui timeshare rentals by clicking the tabs on the left! 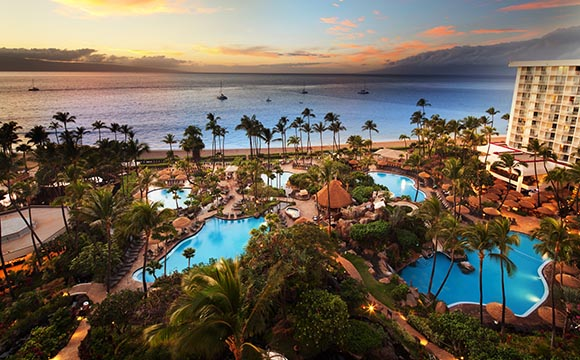 Relax at Marriott’s Maui Ocean Club in beautiful Lahaina, Hawaii. Visitors of all ages will have a ball splashing around in the resort’s 3.5-acre super pool, which features a water slide, waterfalls, and children’s area. For those looking to unwind with a cold drink, our poolside bar is sure to please. The Maui Ocean Club also sports a beauty shop, barbecue area, game room, and restaurants for you and your friends and family to take advantage of. 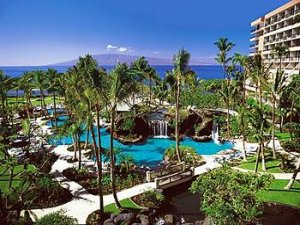 The original structure of this Maui timeshare resort is a converted hotel that offers one-bedroom, two-bath, and two-bedroom, three-bath accommodations. Set upon 26 lush acres with breathtaking views of the Pacific Ocean and the islands of Lana’i and Moloka’i, this Maui timeshares’ rental resort provides the ultimate in pampering and relaxation. Your choice of beautifully appointed studio, one-, and two-bedroom fully-furnished villas feature complete kitchens, signature Heavenly Beds, Heavenly Baths with a separate whirlpool bath and shower, in-room washer/dryer, and everything you could imagine for your escape to this tropical oasis.